Type 304 stainless steel unit with bright polished finish exterior and sand blasted finish interior. 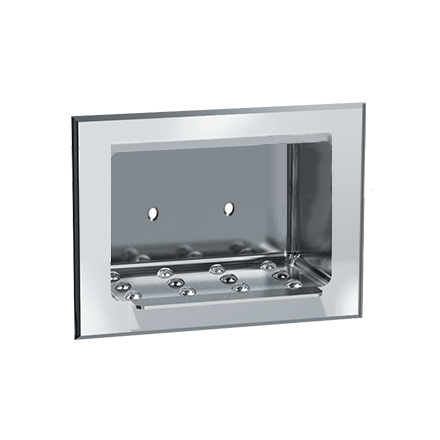 Includes mounting clamp for stud walls. Similar to 0398, but without bar.